Irish actor, comedian, and television presenter, Graham Norton is best known on BBC television for his racy and suggestive jokes. He’s coming back to the states, and taking another go at his own American television show. His first being, “The Graham Norton Effect” which aired in 2004 on Comedy Central but did not bring-in a large enough of a viewing audience. 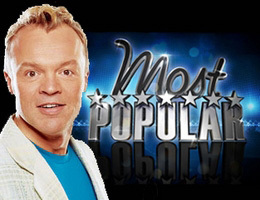 This time around, his new American show is “Most Popular”. Filming starts early next month. The concept is to expose what makes someone popular. Seven women will be judged each week by 100 female studio audience members between the ages of 18 to 45, who will vote for their favorite contestants each round. Contestants must open-up their lives to scrutiny in the attempt to win the final prize money of $10,000. This seems like a game show that will attempt to mix pop-culture, pageantry, fashion, and intelligence. Should be very interesting. More information on this show once it starts filming May 9th.